EPA 38 MPG Hwy/28 MPG City! GLS trim. 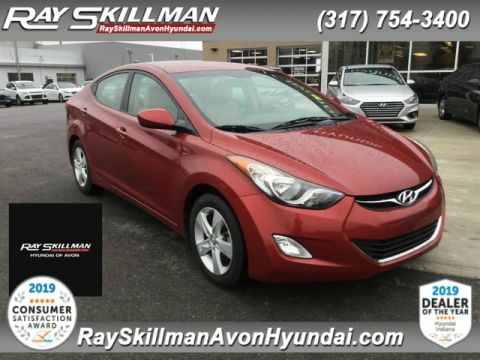 CD Player, iPod/MP3 Input, Satellite Radio, Edmunds.com's review says Thanks to head-turning styling, a fuel-efficient engine, a long list of standard safety features and upscale options, the 2013 Hyundai Elantra stands as a top pick for a compact sedan.. READ MORE!